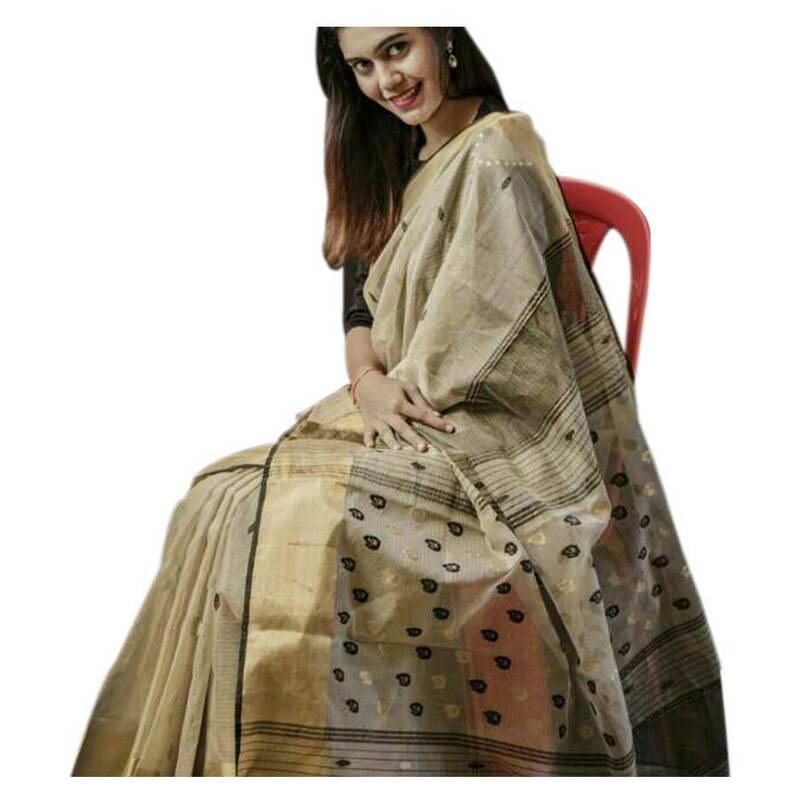 Lovely Beige body of the saree with broad interwoven Gold colored border, delivers a unique fresh look. The Natural Cotton and Silk fabric and pure vegetable colors add a unique luster to this traditional saree. This elegant Beige colored saree with Gold color border along with a graceful pallu suits casual as well as office wear.